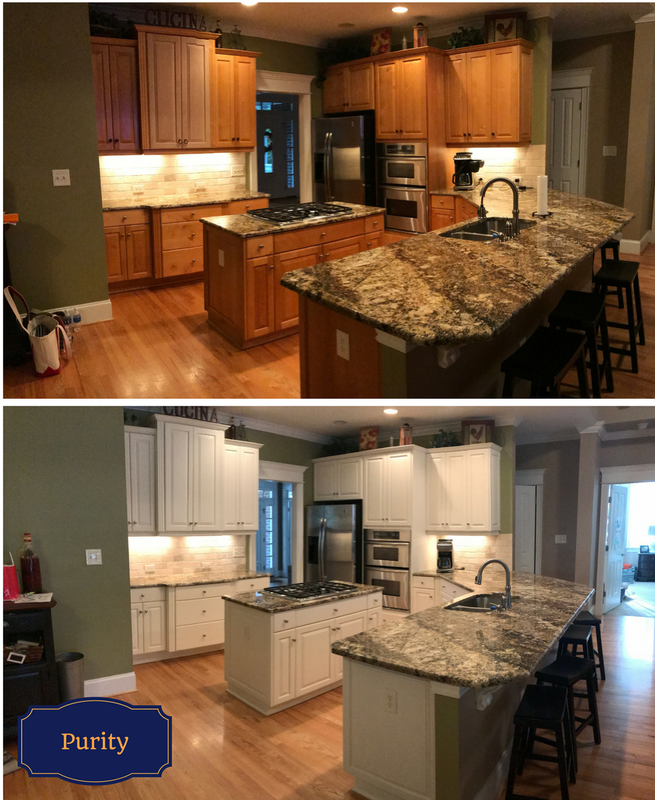 The look our homeowner wanted in her kitchen was muted and warm. 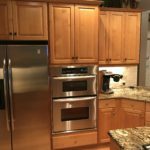 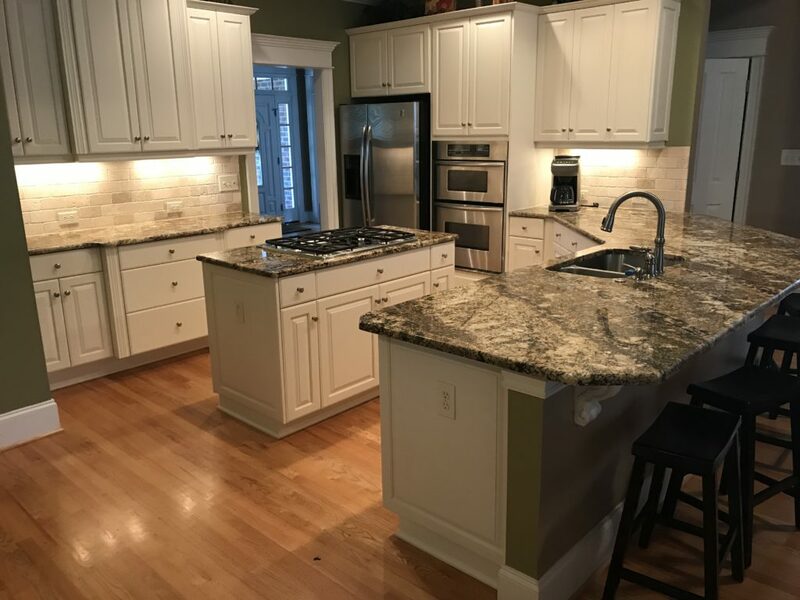 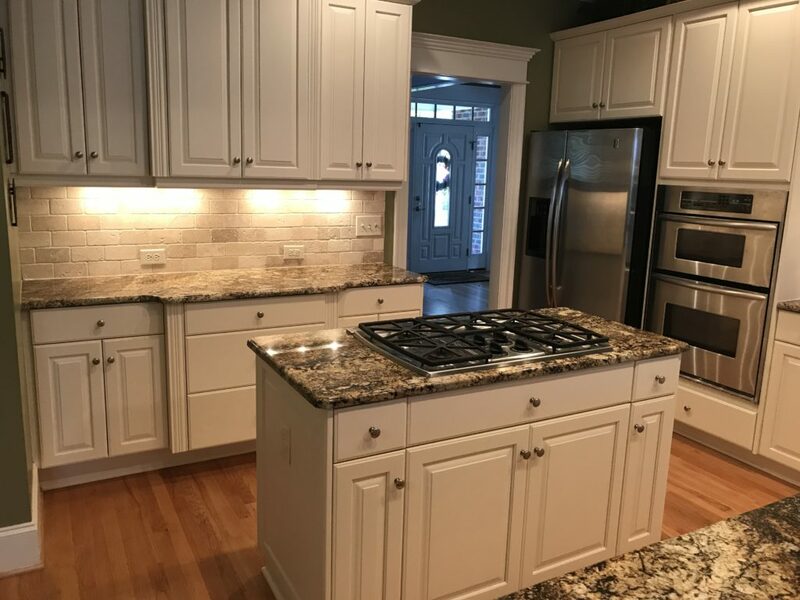 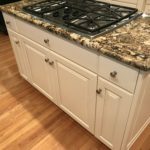 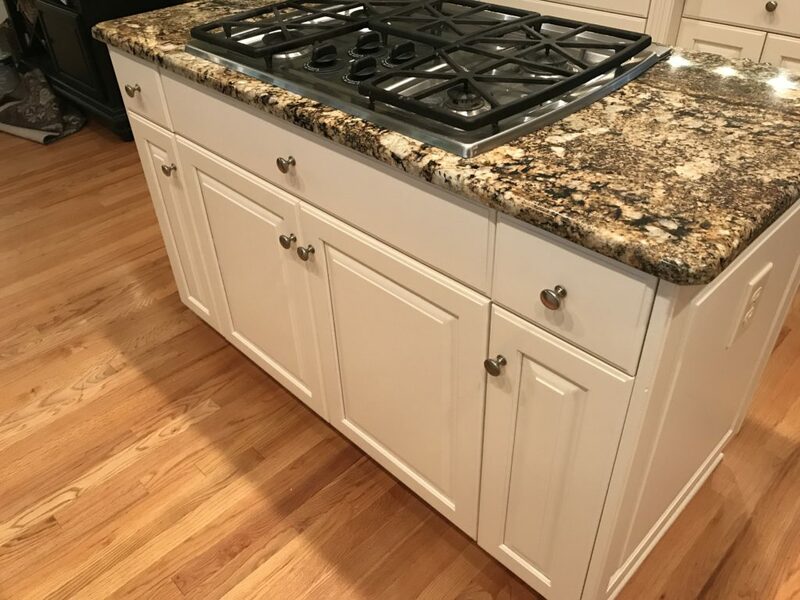 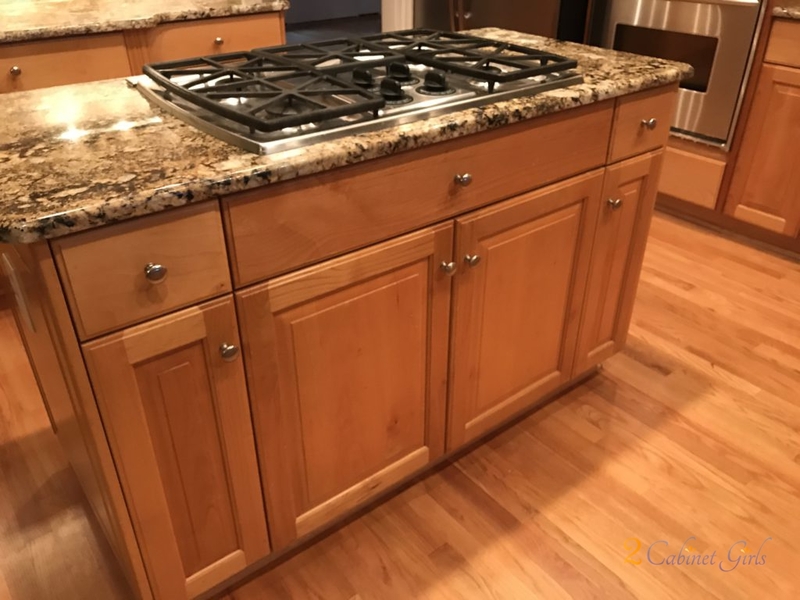 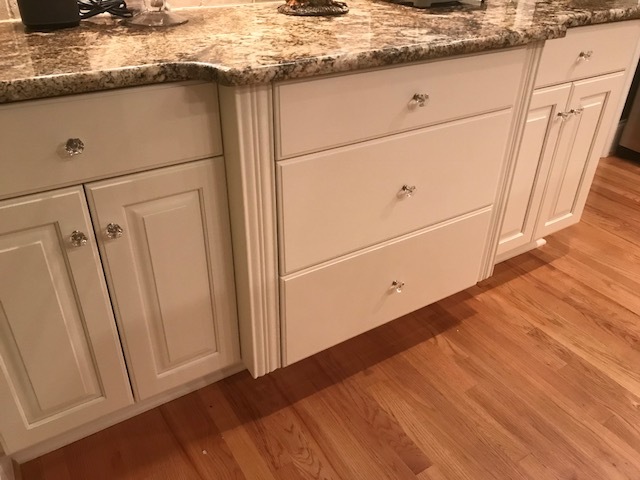 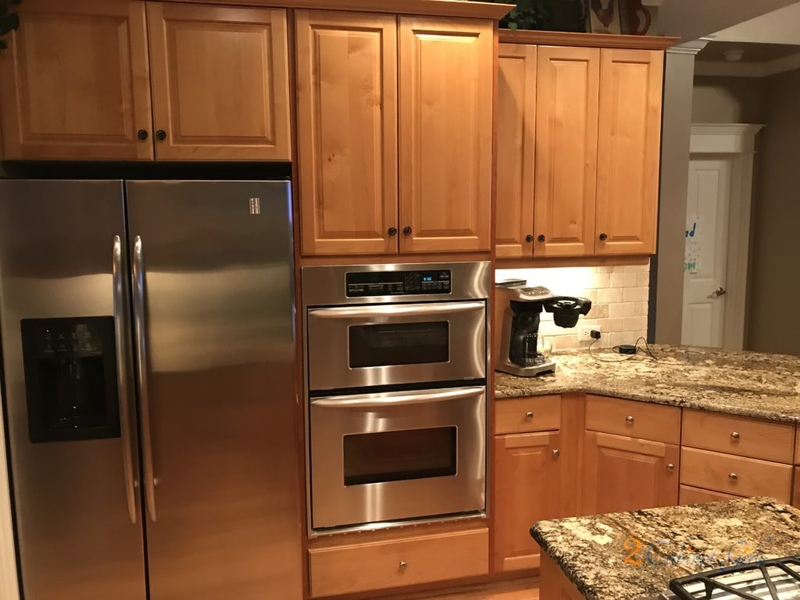 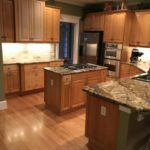 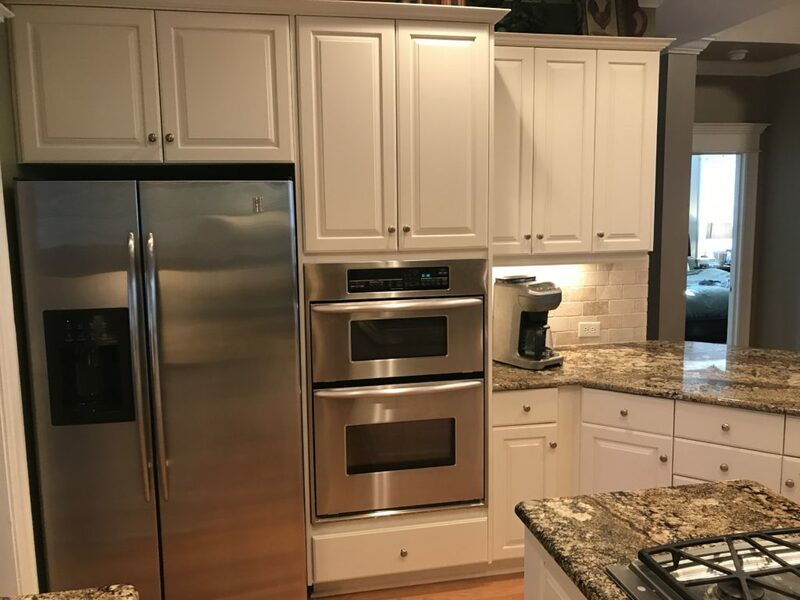 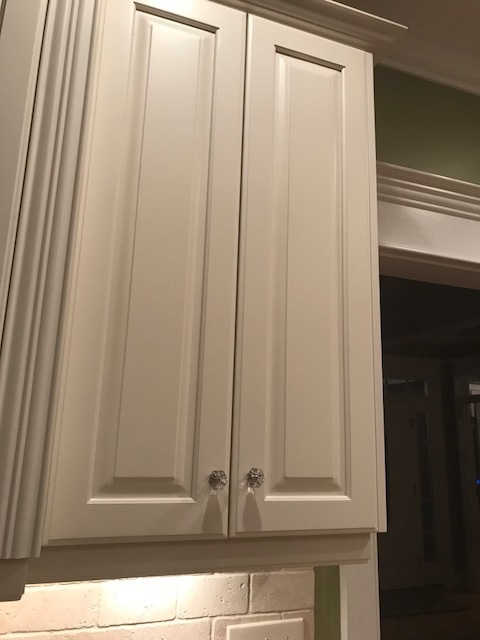 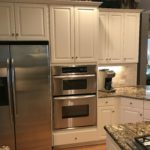 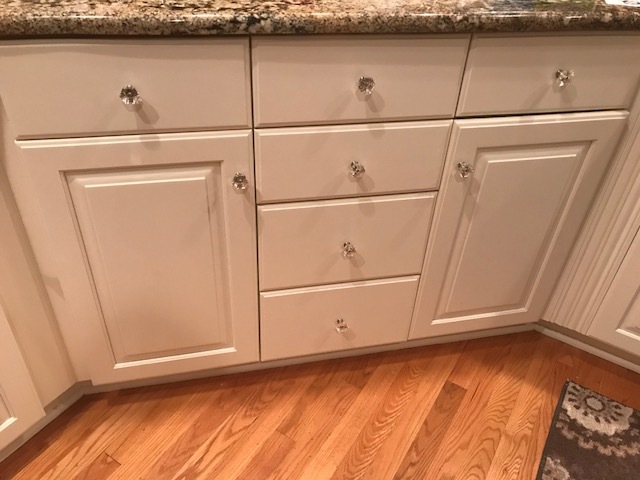 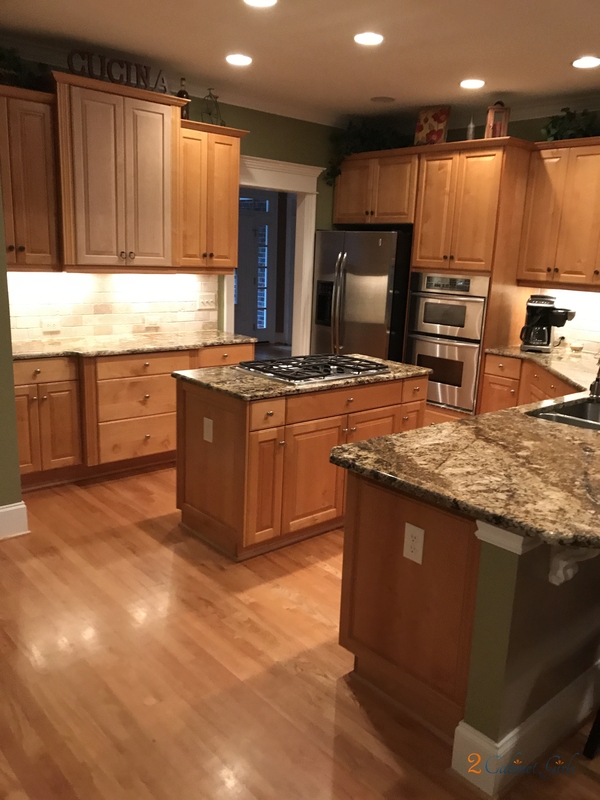 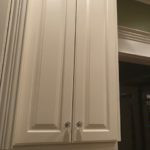 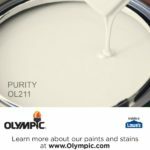 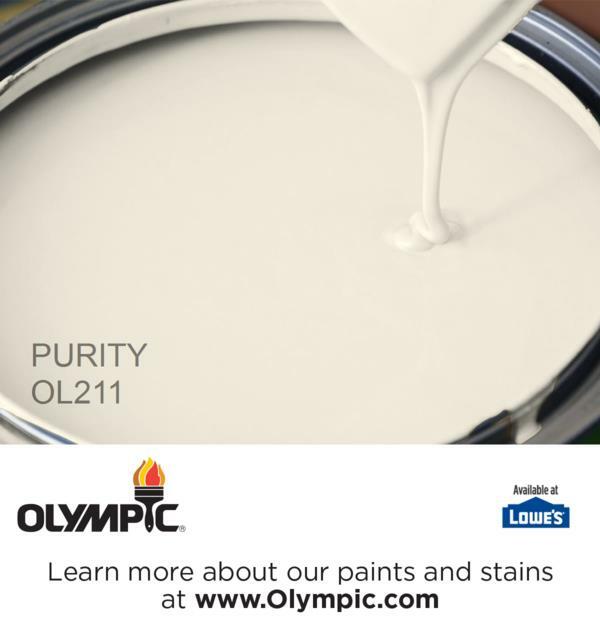 It was time to say goodbye to the orange toned maple cabinets and hello to the off white shade of Purity, from Olympic Paints. 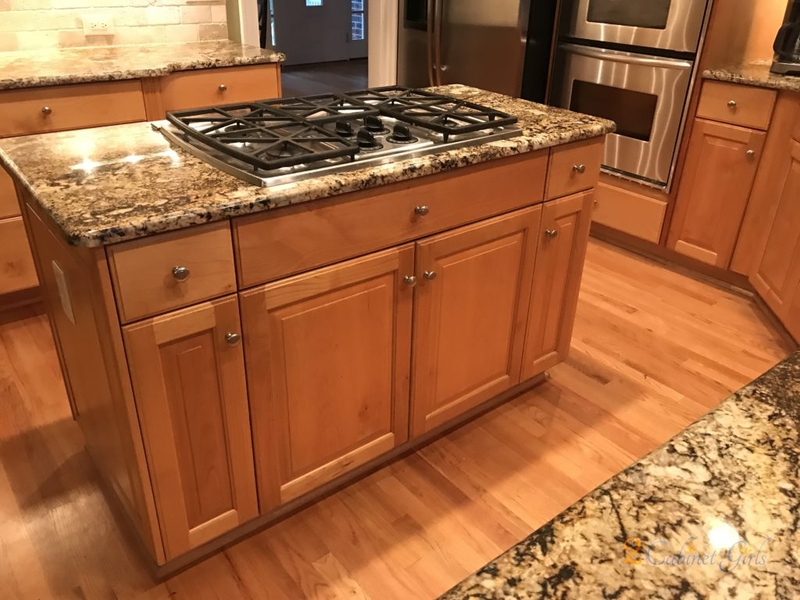 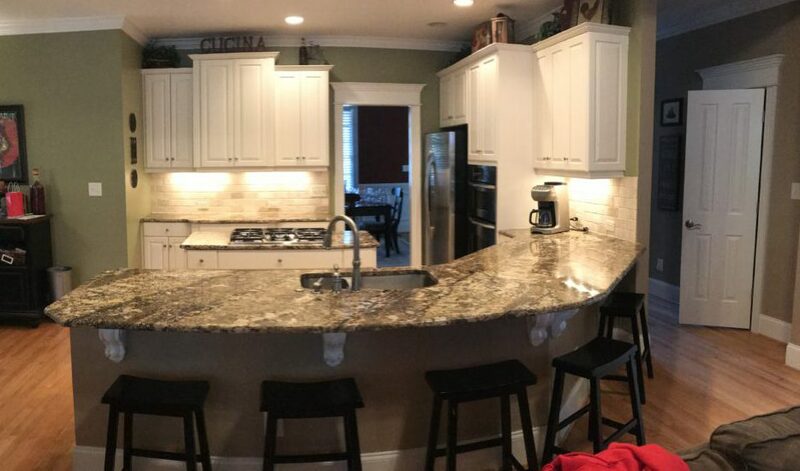 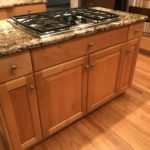 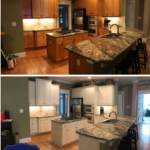 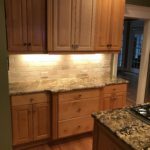 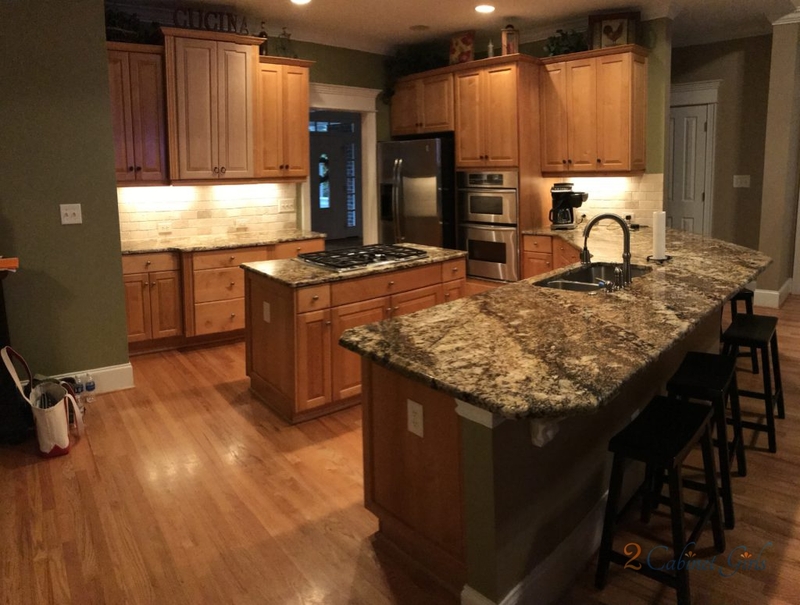 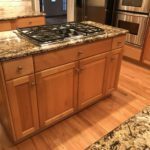 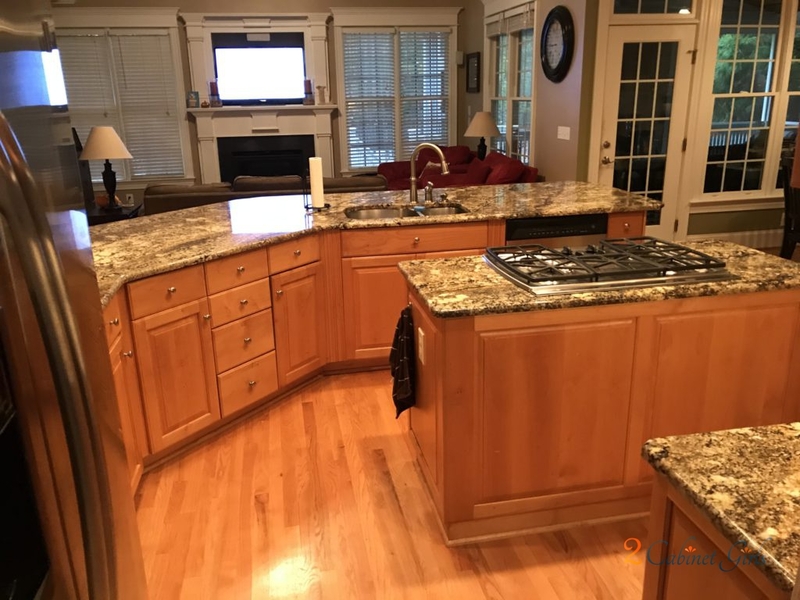 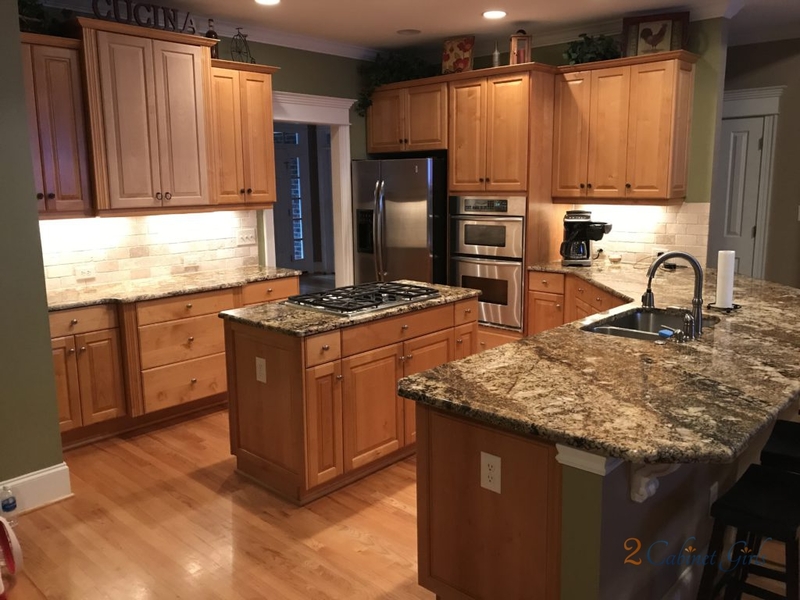 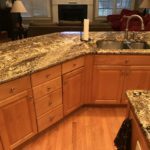 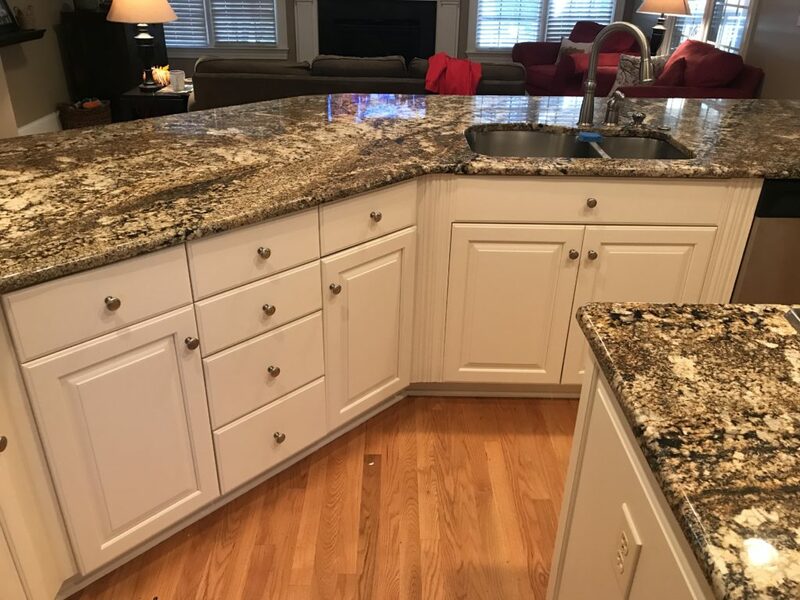 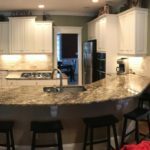 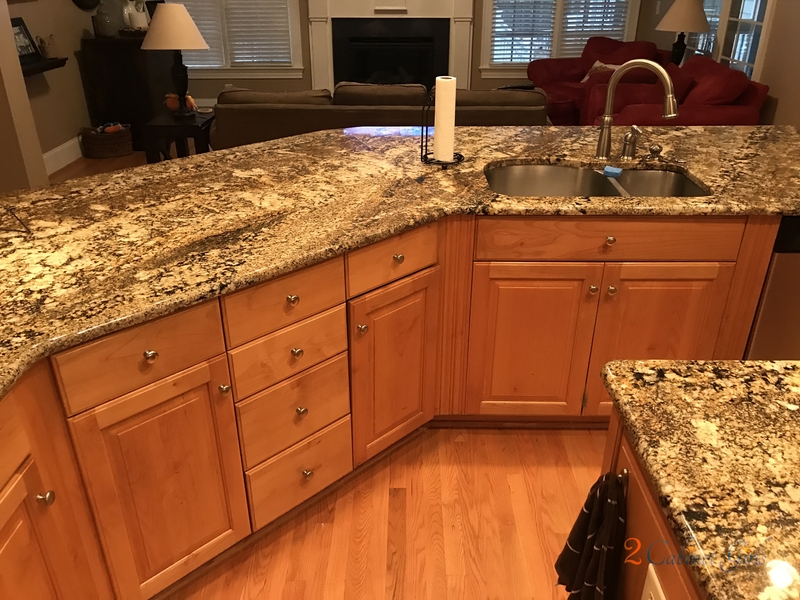 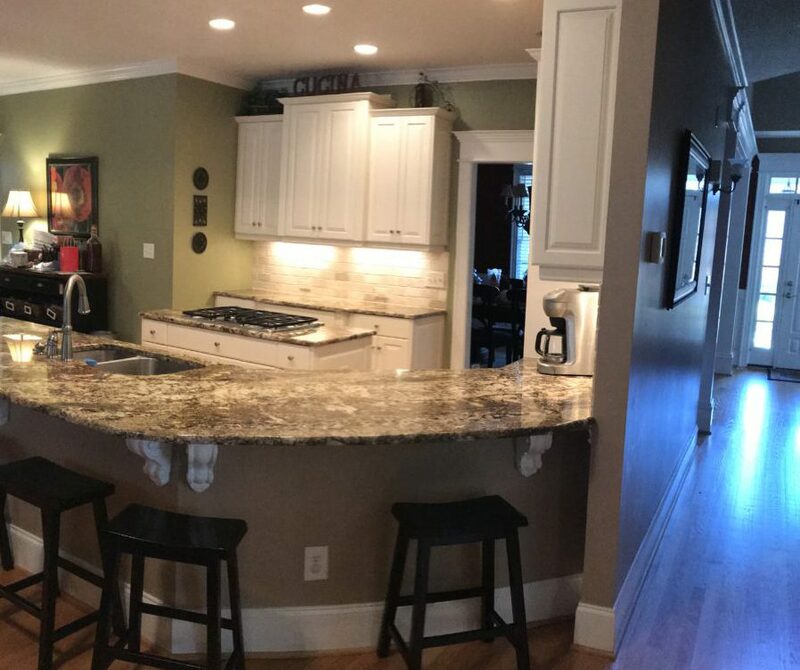 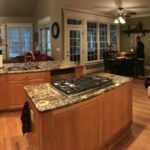 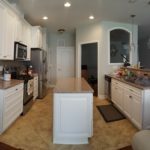 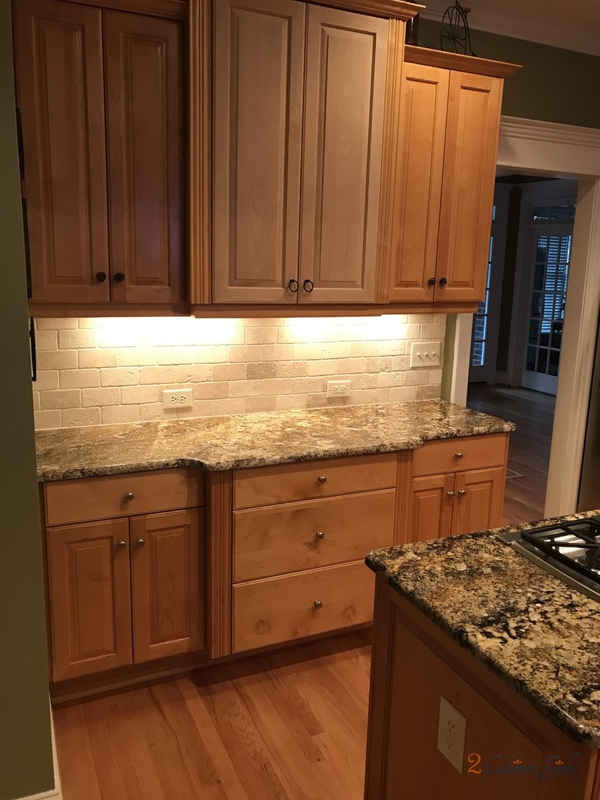 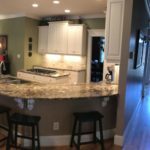 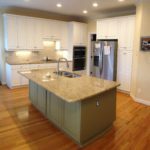 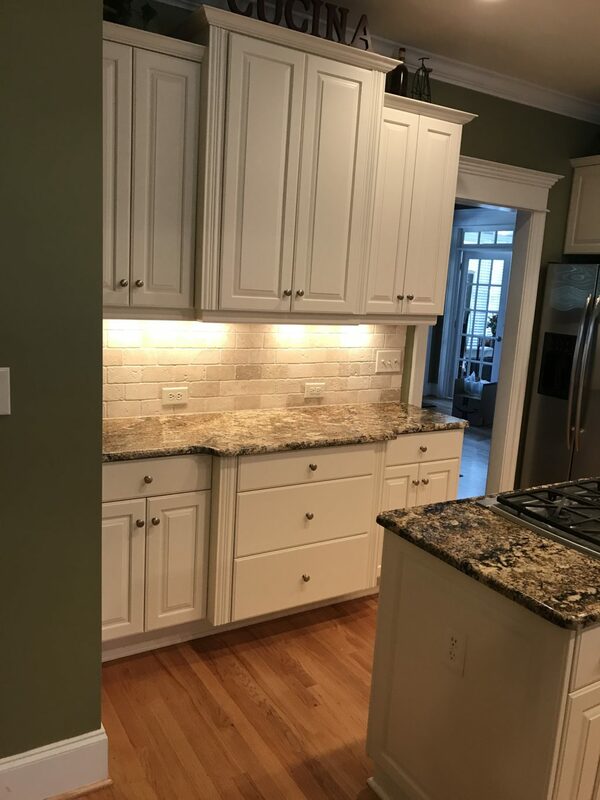 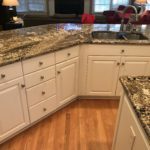 She chose this color because of how well it blended with her travertine tile backsplash and granite. 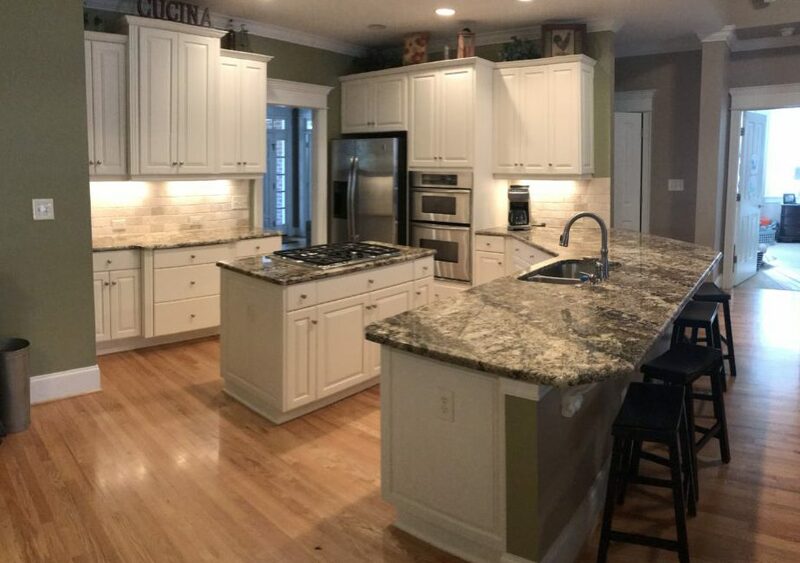 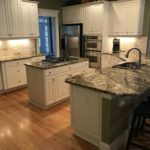 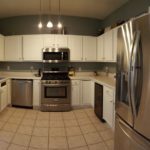 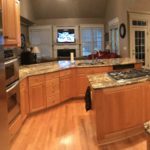 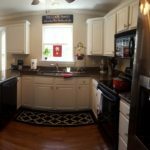 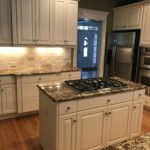 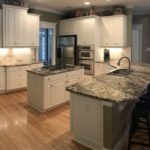 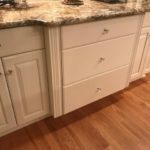 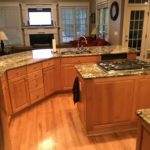 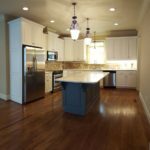 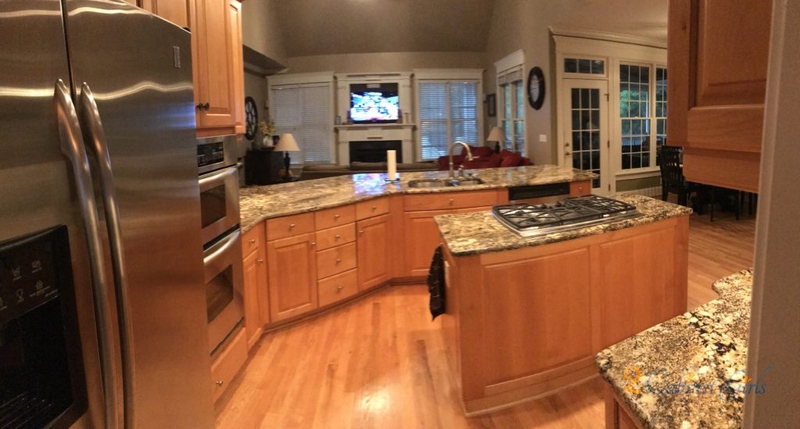 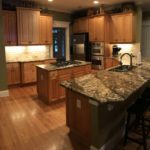 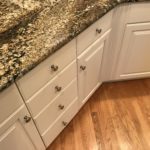 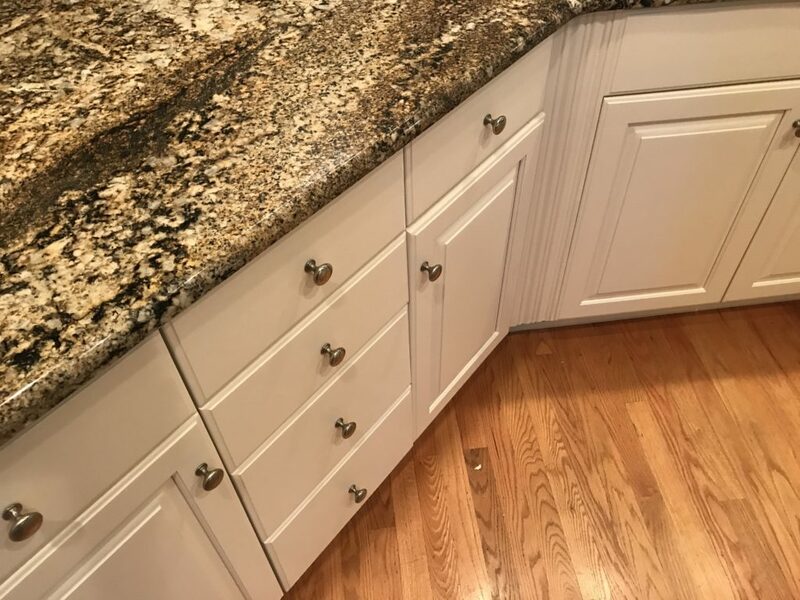 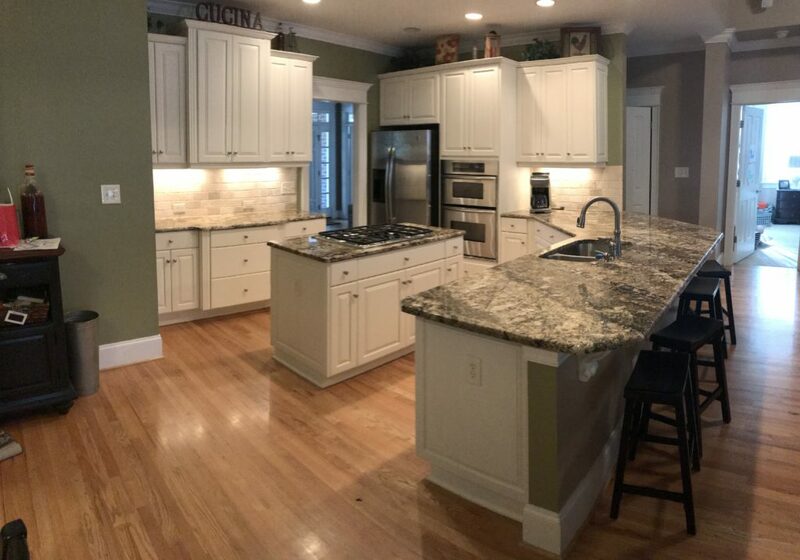 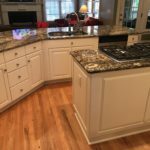 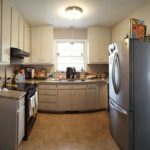 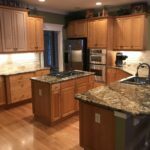 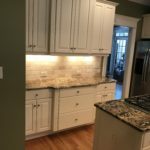 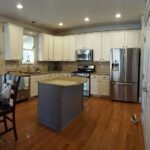 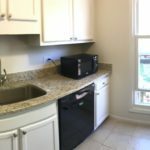 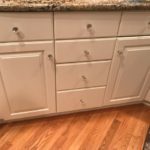 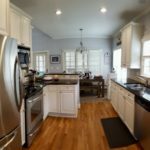 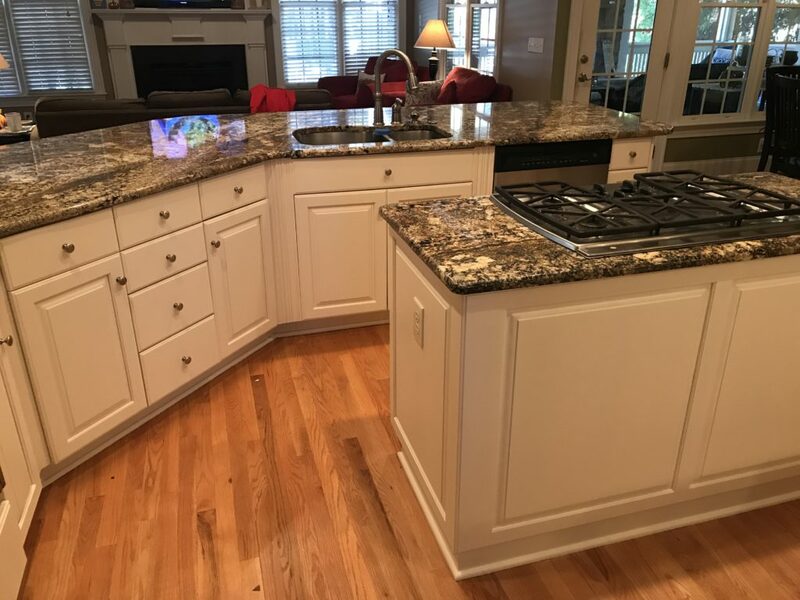 Now the understated cabinets really complement the counters and the backsplash rather than compete with them.